Piedmont Craftsmen is excited to welcome seventeen new Exhibiting Members with a Show in the Gallery from March 1 to 30. 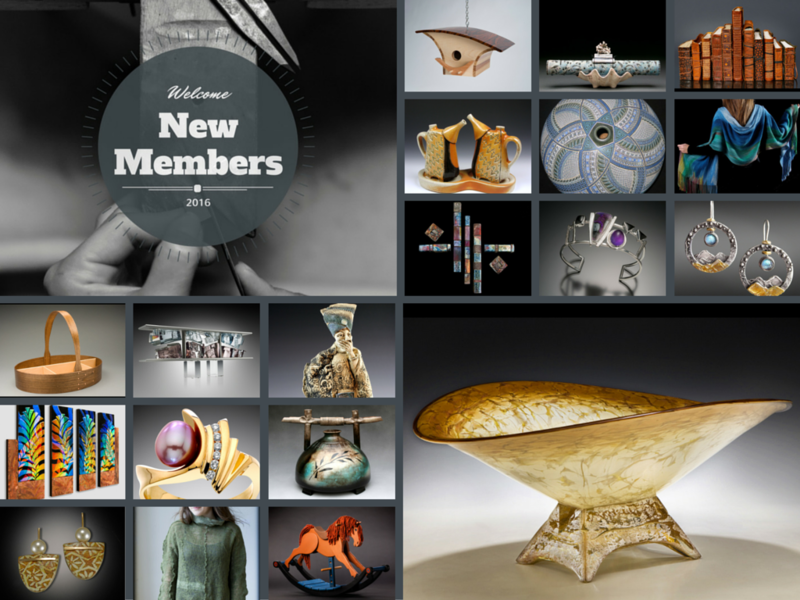 “New Members 2019” will open during the March Gallery Hop, Friday March 2 from 7:00 to 9:00 pm at Piedmont Craftsmen, in downtown Winston-Salem. 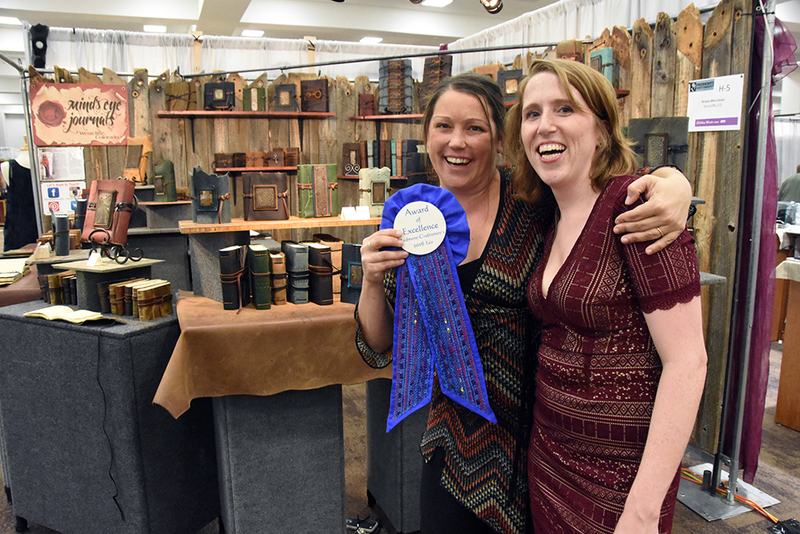 Each year, nearly 100 craftsmen from across the United States submit applications for Exhibiting Membership in Piedmont Craftsmen. The rigorous 2-part peer-jury process ensures that those chosen for membership are among the most talented, imaginative and visionary artists working in their respective media. 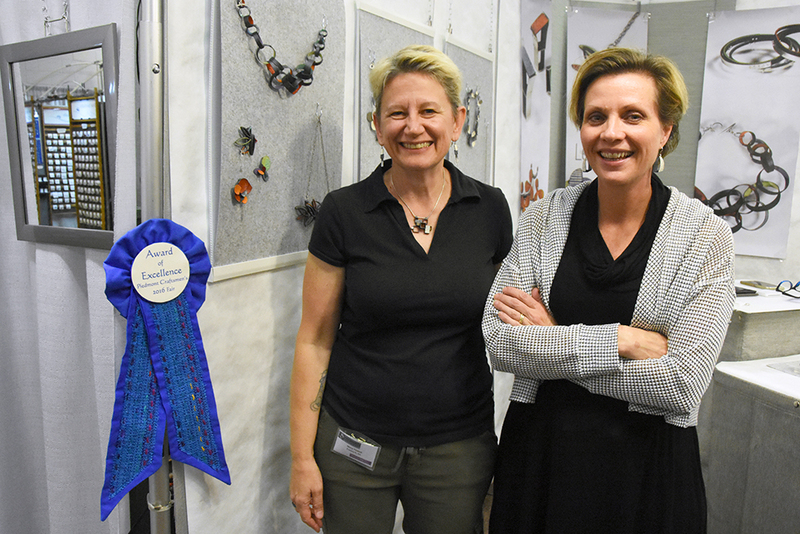 At Piedmont Craftsmen’s 2018 Fair, the Standards Committee invited the following artists to become Exhibiting Members. In Clay: Ed and Kate Coleman of Swannanoa, NC, create whimsical tiles, clocks and vases in bold colors. Bob Meier of Boone, NC combines hand thrown and sometimes hand built stoneware with surface carving to create platters, forms and lamps. Marie Wright of Pittsboro, NC uses crystalline glazes on her ceramics to create rich colors on the flowing hand thrown vessels. 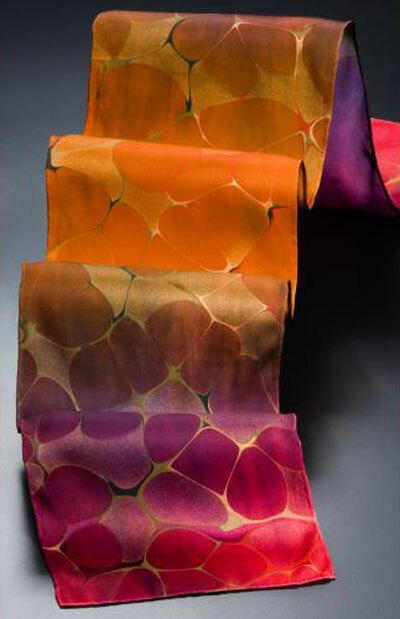 In Fiber: Deborah Bryant of Cashiers, NC, designs breath-taking hand-dyed shawls and wraps of cotton and natural fibers. Kami Watson of New Market, AL creates clothing from reclaimed silks and fibers using a variety of contemporary techniques like nuno and laminate felting. 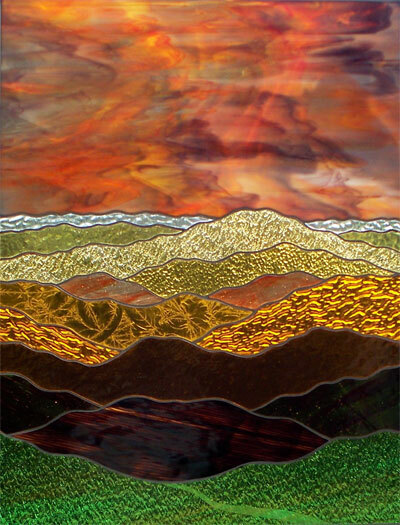 In Glass: Oak Ridge TN artist Dawn Hinesley Jones uses geometry and multiple layers of glass to create two and three dimensional pieces with a trompe l’oeil effect. Sam Stark of Eden, NC creates unique glass forms and installations inspired by sea life. In Jewelry: Courtney DeYoung of Columbus, OH, works in porcelain that is fired and carefully hand painted to create beautiful floral designs. Asheville jeweler Molly Dingledine gains inspiration from plants, leaves and buds to create oxidized sterling silver pieces with pearls or gemstones. Anne and Peter Hanson of Ruckersville, VA combine and micro form various metals, wires and textures in to simple elegant pieces. Nancy Ryall of Oxford, NC works in 14k and 18k gold to create pieces that are pure in form while simple in style. Theresa St. Romain of Tucker, GA thinks of her work as small wearable narrative sculptures. In Metal: John Hege of Danbury, NC creates knives with beauty in mind. Each knife has a purpose, whether it’s a knife for the kitchen or tomahawk, and each is unique. 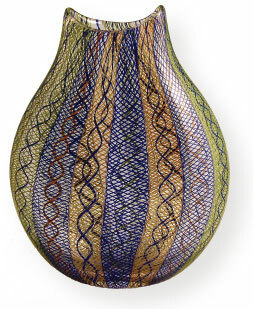 In Mixed Media: Emerald Estock of Franklin, TN combines basket weaving and photography to create peaceful images woven into containers or two dimensional pieces. In Wood: Neil Carroll of Weaverville, NC, creates custom made furniture out of exotic woods. Zirconia, NC artist Walt Cottingham uses recycled materials such as old doors or flooring and natural materials to create one-of-a-kind bird houses that are both rustic and beautiful. Brian Guhman of High Point, NC, turns mostly local green wood to on a lathe to create vases, cremation urns and sculptures. Janet Bealer, Winston-Salem, NC. Exhibiting Member in Fiber. AB UNC-Chapel Hill. Studied weaving at Georgia State University, Penland School of Crafts, Arrowmont School of Crafts. Professional weaver since the early 1970s. Former contributing editor and former managing editor of Textile World Magazine, served on Chattahoochee Handweavers Guild Board of Directors (Vice-President, Exhibits) and past President of Handweavers of the Savannahs. Currently serving on UNCSA Associates Board of Directors (Co-Chair, Hospitality Committee). Has work in numerous publications and collections. Anne Cullen, Winston-Salem, NC. Supporting Member. Retired, VP/Account Services and Principal with The Russell Agency, a creative marketing firm. The Russell Agency partnered with Piedmont Craftsmen for seven years, developing and producing Fair creative materials. Dede DeVries, Kernersville, NC. Supporting Member. Over 30 years agency experience in advertising and marketing. Working with clients in home furnishings, consumer goods, retail, technology and more. Current owner/designer of 3d(+1) (Dede DeVries Designs—DedeDeVries.com). As a freelancer have worked on marketing campaigns for non-profits including Sawtooth School, Second Harvest Food Bank and Piedmont Craftsmen. Designed and produced Piedmont Craftsmen’s first website. Graduate of East Carolina University School of Art with studio majors in Commercial Art and Applied Design. Linda Garboczi, Clemmons, NC. Chief Marketing Officer, Piedmont Advantage Credit Union. Previously Partner/Consultant specializing in profitability for nonprofit associations and community banks. Serving on the Downtown Winston-Salem Partnership Board of Directors. BS, Marketing, Goldey Beacom College. MS, Business Administration, Shippensburg University. Kerry Gonzalez, Walnut Cove, NC. Exhibiting Member in Clay. BFA in ceramics, Florida Atlantic University in Boca Raton. Also studied ceramics at the University of Southern Florida, Tampa and glass blowing at Pilchuck School in Stanwood, WA and the California College of Arts and Crafts in Oakland. 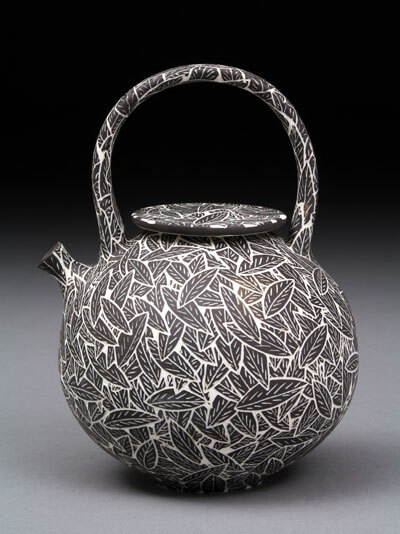 Works exclusively in Raku ceramics and his copper Raku vessels are exhibited and collected nationally. John Hunter, Winston-Salem, NC. Supporting Member. 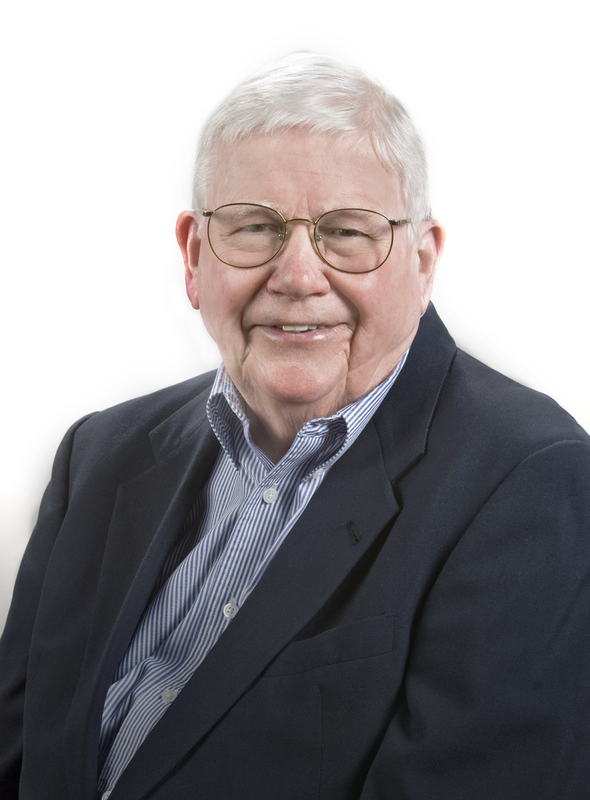 Retired Senior Vice President, Senior Career and Executive Coach, Lee Hecht Harrison. Has worked in marketing management for Hanes Hosiery and American Tourister. B.A., Denison University. Leadership Winston-Salem. Past Board member of Stratford Rotary and Junior Achievement. Past board member of Piedmont Craftsmen. Erika Von Isenburg, Rural Hall, NC. Supporting Member. Sales Manager, Phoenix Packaging, Inc. Lover and supporter of the arts. Erika has been a Craftsmen’s Fair sponsor for many years and assisted with special events. Annie Grimes Williams, Winston-Salem, NC. Exhibiting Member in Metals/Jewelry. BFA in Metal Design, East Carolina University. Has taught metal forming and enameling workshops across the southeast. Serves on Board of Art Nouveau Society of the Arts Council of Winston-Salem, member of Carolina Designer Craftsmen’s Guild. Included in multiple publications and exhibitions, co-curated Create : Adorn, DeLurk Gallery, Winston-Salem. Keila Coffey is Director, Client Advisor, Alex Brown. Past Board Member of Mental Health Association of Forsyth, Member of North American Truffle Association, and NC Wine Growers Association. She received the Outstanding Women in Business award from Triad Business Journal. Tomi Melson is an Exhibiting Member in Fiber. She was Piedmont Craftsmen Executive Director from 1999 to 2005 and in 2017 retired as Director of Development and Community Relations for Second Harvest Food Bank of Northwest North Carolina. More than 25 years of experience in non-profit management, BA in Arts Management from Salem College. Honored with a Piedmont Craftsmen Sherpa Award in 2011. Gary R. Ljungquist, PhD is a Retired Professor at Salem College, long time Piedmont Craftsmen Supporting Member and volunteer, served on search committee for President of Salem Academy and College, Advisory Committee for Division of Arts/Humanities, Forsyth Technical Community College, has volunteered with Sawtooth School for Visual Arts, AIDS Task Force, AIDS Care Services and NCPride. Vast experience in strategic planning. Maureen Ihrie, PhD, Retired Associate Professor of Spanish, Elon University 2001-2014 and department chair 2012-2016. With her husband, supports Triad Stage, WS Symphony, Theater Alliance, Second Harvest Food Bank, UNCSA Associates. PhD in Spanish literature from Bryn Mawr College. Has served on dozens of academic committees from the departmental to the University level. Sharon Hamilton, PhD, CFO United Way of Forsyth Co (retired). Served as Treasurer of River Run International Film Festival and Sawtooth School for Visual Art, currently serving as Treasurer of Hand On Northwest NC. Served as Piedmont Craftsmen's Board Chair in 2006 and Treasurer in 2005 and 2007. Amanda Blackman Phillips, Attorney, Craige Jenkins Liipfer & Walker, LLP. UNC-Chapel Hill, BA in English; Nova Southeastern University, JD. Lifetime resident of Forsyth County. Member of Forsyth County Women Attorneys Association and Reynolda Rotary Club of Winston-Salem. Amanda’s husband, Mike Phillips, has previously served on the board. Amanda served as Board Secretary for two years, and 1st Vice Chair for one year before serving as Board Chair in 2018. Piedmont Craftsmen, Inc. announces the election of the 2018 Officers and four new members to the Board of Trustees at the Annual Meeting on November 19th, 2017. The Board of Trustees is elected by the supporting and exhibiting members at the Annual Meeting during Piedmont Craftsmen’s Fair. The Board elected the 2018 Officers at the December 12th, 2017 meeting. Terms for Officers and Trustees began on January 1st, 2018. Officers elected to serve for 2018 are: Amanda Blackman Phillips, JD, Chair; Tomi Melson*, 1st Vice Chair; Gary Ljungquist, PhD, 2nd Vice Chair; Maureen Ihrie, PhD, Secretary; Sharon Hamilton*, PhD, Treasurer; and David Piner serves as Immediate Past Chair. New Trustees are Amber Koger, LLC, of Winston salem, NC; Patricia Taylor*, Winston-Salem, NC; Charles Watson, of Winston-Salem, NC; and Tom Skinner*, of Pfafftown, NC. They join the Trustees who continue to serve on the Board: Marvette Aldrich, Janet Bealer*, B. J. Buckland, Anne Cullen, Ben Dyer*, Raina Haque, LLC, Gordon McCray, PhD, David Piner, Judith Swain, and Annie Grimes Williams*. Piedmont Craftsmen is excited to welcome twelve new Exhibiting Members with a Show in the Gallery from March 2 to 31. 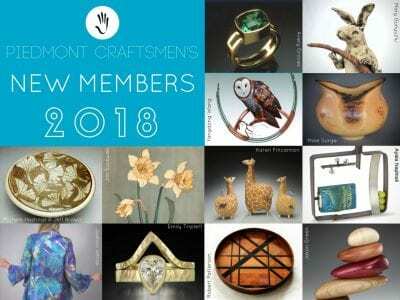 "New Members 2018" will open during the March Gallery Hop, Friday March 2 from 7:00 to 10:00 pm at Piedmont Craftsmen, in downtown Winston-Salem. Artists working in Clay include Jeff Brown and Michele Hastings of Seagrove, NC, who create functional, wheel thrown forms and ash glazed reduction fired stoneware; Karen Fincannon of Tucker, GA, who hand builds one-of-a-kind whimsical sculptures; and Mary Gunyuzlu of Winston-Salem, NC, creating hand built animal and figurative sculptures with an earthy effect. Our new member working in Fiber is Joanna White of Leicester, NC, designs colorful garments from her hand painted and hand dyed silks. Jewelers accepted for membership include Avery Groves of Charlottesville, VA, who works in 14kt and 18kt gold, gemstones and rare minerals; Ayala Naphtali of New York, NY, who draws inspiration from ancient alphanumeric systems and contemporary architecture to achieve rich color and texture in her pieces; and Emily Triplett of Carrboro, NC, who combines forged gold and sterling silver with gemstones to create timeless designs. Yandong Wang of Crownsville, MD, who uses industrial recycled materials including brass to produce wildlife sculptures and ornaments, was juried in Metals. Woodworkers juried in to the guild are Jason Green Boone, NC, whose kinetic lamps and sculptures are created from a variety of woods; Robert Patterson from Milton, GA, who bends and shapes various woods to create his oval and circular trays; Jim Sockwell of Spruce Pine, NC, whose limited color pallet of exotic and native veneers depict recognizable scenes and objects; and from Middlebrook, VA, wood turner Mike Sorge, who produces non-round, geometric sculptures, natural edged bowls and burl forms that surpass the traditional turned wood. On February 19th, the Marianne Oberg Foundation for Spiritual Art announced their selection of Jennifer McCormick, exhibiting member in Mixed-Media, as the first recipient of their Spiritual Art Grant. The Charlotte- based foundation awards the grant to artists "who see the world from a spiritual perspective and who seek to express their view of the transcendent in their artwork". Congratulations Jennifer! We look forward to seeing the work produced from this fantastic opportunity! 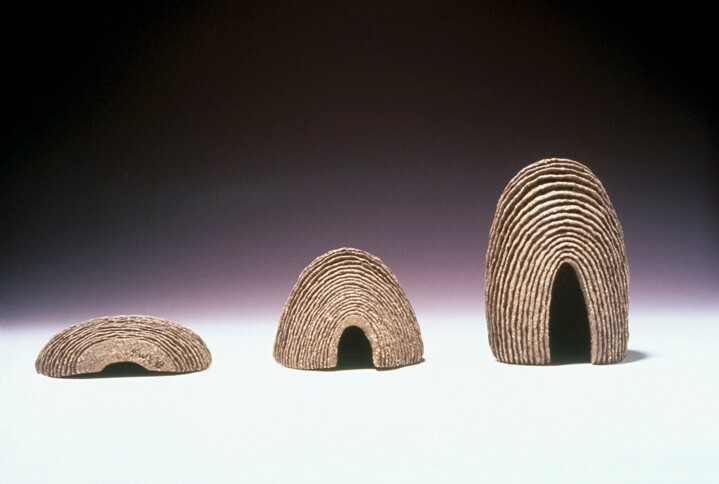 Loretta Kaufman, exhibiting member in clay, was chosen to show in not one, but three shows with the Association of Women Artists. The first, held last November in New York, was their New Members Show. The second, NAWA's "Small Works" show, was on display in new York throughout the month of February. Loretta has also received the honorable mention in Fusion Arts' Women Artists Quarterly Group Exhibition, which is also now on display through April 14th. Congratulations Loretta! Exhibiting Member, Steven Dunn, was featured in an article in Relish. Steven has been an member since 2001. 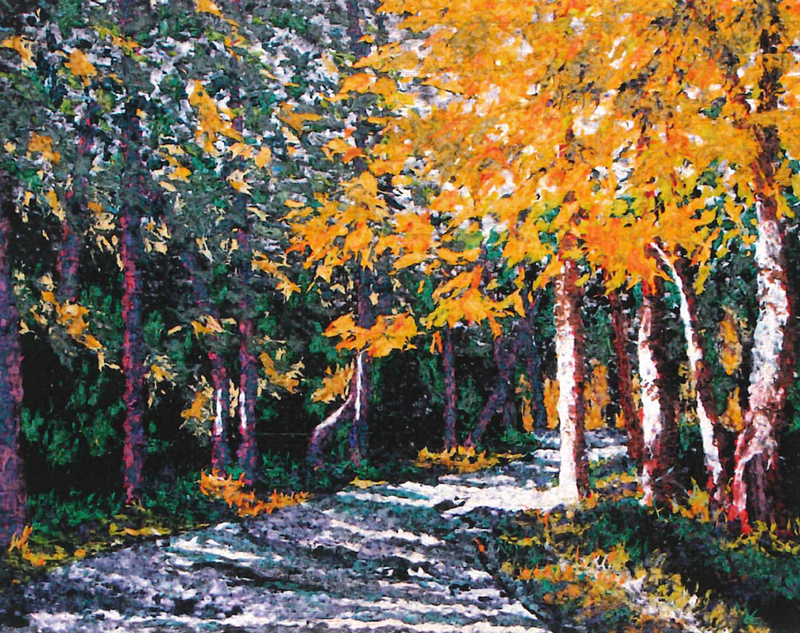 Follow this link to read more: Steven Dunn: Nature has inspired artist for decades. It is with great sadness that we let you all know that artist member in metal Ira DeKoven passed away this morning. He was a master craftsman of the highest caliber and as those who knew him can attest, he was quite the character. So many of us have great stories and memories of Ira. It goes without saying that Ira was one of a kind. Words cannot express how much he will be missed. "Ira Michael DeKoven lived in many worlds. Born in Chicago in 1947, seven minutes before his twin sister Mona, he grew up in Highland Park, Ill. As a teenager, he took up guitar and gravitated back to the city, vibrant metropolitan center in the 1960s of jazz, folk, blues, and daring new forms of art and theatre. Soon after graduating from Antioch College, where he had studied art engineering, Ira became fascinated by the hard materials of the earth and the power of fire and the human hand to shape them. He learned welding at the Hobart Welding School in Ohio and blacksmithing in Santa Fe, New Mexico with master craftsman Frank Turley. Of all his mentors, however, the person who most personified the kind of blacksmith Ira aspired to become was Philip Simmons, a renowned African-American blacksmith who helped give Ira his start in Charleston. Simmons would be inducted into the South Carolina Hall of Fame and given the South Carolina Governor’s Lifetime Achievement Award. Ira lived in Yonges Island, S. C., before moving with his wife Jane and their infant son Jesse to Walkertown, North Carolina. On a spacious, tree-filled plot of land, they made a home in a small cabin and Ira set up the forge he would use for the next thirty years. Ira and Jane divorced in 1987 and Jane and Jesse moved to California. Ira continued to live in that cabin until his death from ALS on November 15, 2016. Ira remained a student all his life, even as he in turn passed on his knowledge and techniques to younger apprentices. He earned an MFA from Cranbrook Academy of Art in Michigan in 1996. Over the years he became a cherished member of the local crafts community, appeared as the “village blacksmith” in Middleton Place Gardens in Charleston, S.C., and in numerous craft shows and reconstructed 19th century towns. He has been featured prominently for decades in the shops and fairs of the Piedmont Craftsmen. Ira was also a regular performer at open mics and ensembles throughout the Winston-Salem area. His guitar and harmonica created renditions of many of the folk and blues tunes he had heard in Chicago and others he had perfected along the way. Mississippi John Hurt would provide the kind of musical inspiration for him that Philip Simmons provided in iron. Ira serenaded his son, his friends, and his many nephews and nieces—and then grand-nieces and grand-nephews-- as they moved from infancy through young adulthood. A newspaper article about Ira in 1982 began: “When Ira DeKoven works, Ira DeKoven sweats.” The sweat and muscles produced works of iron that grace public and private spaces throughout the Winston-Salem area and beyond: gates, balconies, screens, railings, sculptures, fountains, tables, fire tools rendered in iron, bronze, copper, aluminum and enamel are regular features of the local landscape. Ira’s designs range from classical and intricate to whimsical and idiosyncratic. (Although he was an old-style blacksmith, the only horseshoes in his inventory are actually belt-buckles.) Typically, he would ask a client what his/her ‘talisman’ was, some element of nature or art that would symbolize their inner soul, and would try to incorporate that into his designs. He perfected the finishes on his metal sculptures with both scientific and artistic sophistication. Donkey-headed hooks adorn many walls; lizards, animated ‘happy franks’ and dolphins seem about to leap out of fire-screens; iron-forged vines with enameled flowers seem as fragile and delicate as they are hard and indestructible; vulnerable iron birds are perched just inches away from their water bowl on cocktail tables; heart-shaped trivets carry such expression that it appears that even iron can reflect a broken heart. The disease that was to take Ira’s life may already have manifested itself during his last four years, when he experienced weakness in his limbs and left the forge to set up a jewelry-making workshop in his basement. His work in enamel, copper, brass and finally silver produced some unique items of jewelry that are also featured in the Piedmont Craftsmen store and adorn the necks, hands and ears of family, friends and strangers. Ira is survived by his son Jesse, his sisters Mona and Sidra, his faithful dogs Bozo and Lightnin’ Bug, and his adoring cousins, nieces, nephews, grand-nieces and grand-nephews on two continents--and by his many friends, neighbors, fellow-forgers of steel, of silver, and of music, and grateful clients across the globe. And also by the amazing caregivers, those “sisters of mercy” who made his last months not only bearable but as comfortable as possible, who offered companionship and love along with their practical and nursing skills." Piedmont Craftsmen, Inc. announces the election of six new and four returning members to the Board of Trustees at the Annual Meeting on November 22nd, 2015. The Board of Trustees is elected by the supporting and exhibiting members at the Annual Meeting during the Piedmont Craftsmen’s Fair. The Board elected 2016 Officers at the December 16th, 2015 meeting. Terms for Officers and Trustees begin on January 1st, 2016. The Officers elected to serve for 2016 are: Mrs. Jennifer McCormick, Chair; Mr. David Piner, 1st Vice Chair; Mrs. Lucinda Brogden, 2nd Vice Chair; Mrs. Cindy Cox Geddie, Secretary; Mr. Gregory Bradsher, Treasurer; Mr. Andre Crawley, Assistant Treasurer and Mrs. Karen Morgan will serve as Immediate Past Chair. Trustees elected for a second term are: Mrs. Pamela Sanders, supporting member, Winston-Salem, NC; and Mr. Gregory Bradsher, supporting member, Lexington, NC. They will join Trustees who are continuing to serve on the Board: Ms. Marvette Aldrich, Mrs. Melanie Barbee, Mr. David Bennett, Ms. Lucinda Brogden, Ms. Kathy Cooper, Mr. Andre Crawley, Mr. Barry Eisenberg, Mrs. Janet Frazier, Mrs. Susan Freidman, Mrs. Cindy Cox Geddie, Mrs. Pam Pryor Grace, Mrs. Jennifer McCormick, Ms. Tomi Melson, Mrs. Karen Morgan, Mr. David Piner, Mr. Andrew Sachs, Mrs. Lisa Stewart, Mrs. Julia Clinard Townsend and Ms. Annie Van Every. 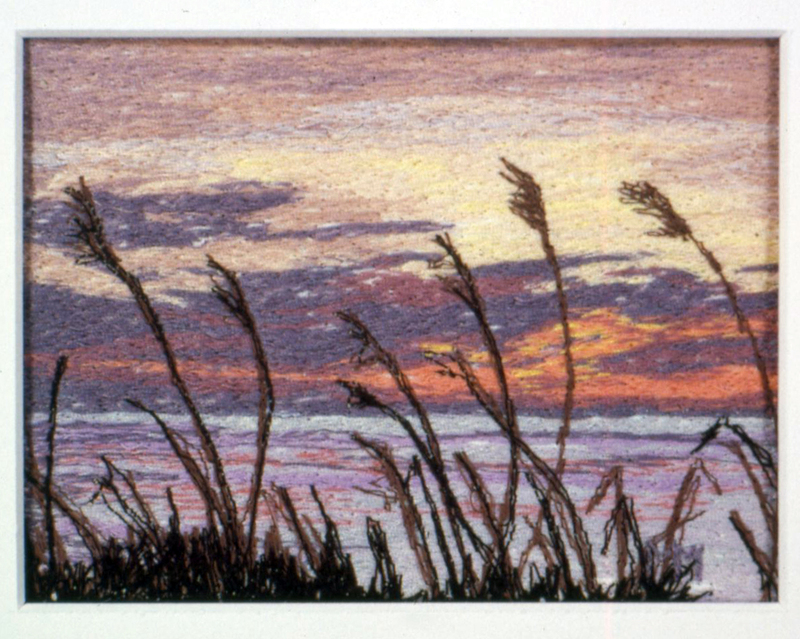 Fiber artist, Martha Matthews passed away on June 16, 2015. She had been an exhibiting member since 1988. Martha graduated from Mary Baldwin College with a degree in Art History and Painting, attended the Art Students League in New York City and was a fiber artist weaving tapestries and drawing with the sewing machine for 40 years. Her work has been exhibited in the US, Canada and Kenya and has been published in a number of magazines, periodicals and books on fiber. Martha's work is included in many private and corporate collections such as IBM Corporation, Steelcase Inc., Hospital Corporation of America, Wachovia Bank and Trust Co., The Mint Museum and the National Museum of Women in the Arts. Martha was an Elder and active member of Covenant Presbyterian Church. She enjoyed supporting the arts, sailing and gardening. Pam Brewer's newest mosaic sculpture will be shown at the 30th Annual Caldwell Arts Council's Sculpture Celebration on September 12th, 2015 from 9am - 4pm. For details click the link above. 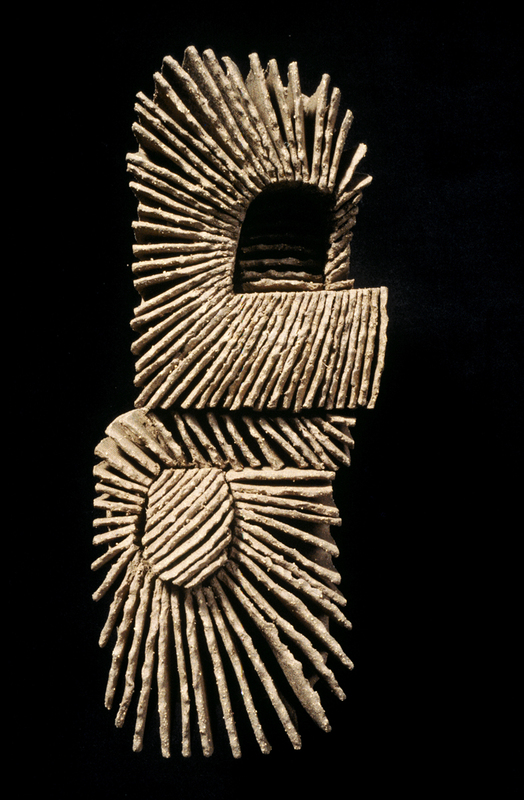 Loretta Kaufman, Exhibiting Member in Clay since 1988, had four pieces selected for an online international show. The show “Rectangles, Triangles, Circles – The Shape of Life” will be available from August 1 – October 31, 2015. The show can be view online at: Still Point Art Gallery. Ceramic Artist, Sammie Nicely, died May 23, 2015. He became a member of Piedmont Craftsmen in 1997. Sammie Nicely was born in Russellville, TN. He received his B.S. degree in art education from Middle Tennessee State University with graduate studies in sculpture at the Arrowmont School of Art and Crafts in Gatlinburg. Nicely works in a variety of media. 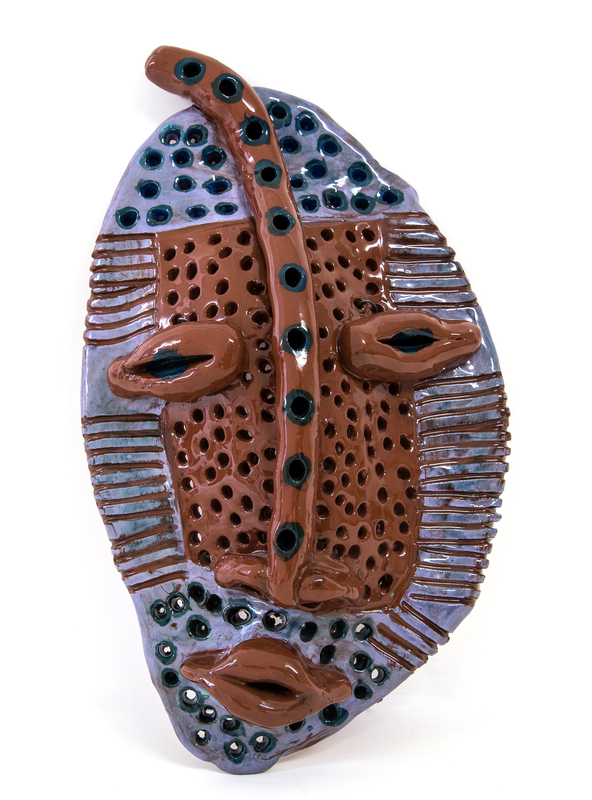 His pit-fired ceramic masks fuse Native American and African art traditions and techniques to create visual images inspired by ritual and everyday life. Nicely has extensive experience as a master teacher at all levels with a vast array of populations. Although Nicely currently lives and works in Atlanta, GA, he maintains strong ties with Eastern Tennessee. He is the co-founder of the “From Africa to Appalachia Foundation” dedicated to exposing African/African American visual and performing art to people in Appalachia. Since 1986, the foundation has presented an annual celebration and exhibition at the Rose Center in Morristown, TN. 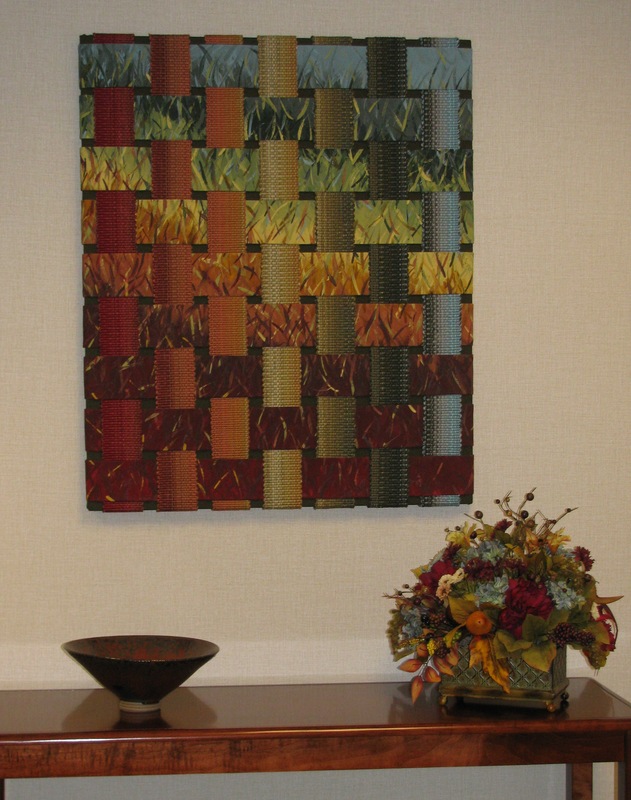 Fiber artist, Laura Sims, died on October 11, 2014. She became an exhibiting member of Piedmont Craftsmen in 2008 and was also a member of Southern Highlands Craft Guild. She worked for both the Southern Highlands Craft Guild and John C. Campbell Folk School in administrative and/or shopkeeper capacities while building her love of mountain craft and craftsmen. In the mid-80’s (?) she drove cross-country with a friend to take a weekend marbling class and found her ‘thing’. She taught marbling many times at Folk School, Penland and Arrowmont. She organized an International Marbling Conference at Arrowmont in ’02 which drew marbling artists from all over the world. Fiber artist Silvia Heyden, a native of Switzerland who spent most of her life in Durham, died here Monday afternoon, March 2, 2015. She was 88 and died from complications resulting from a recent heart surgery. 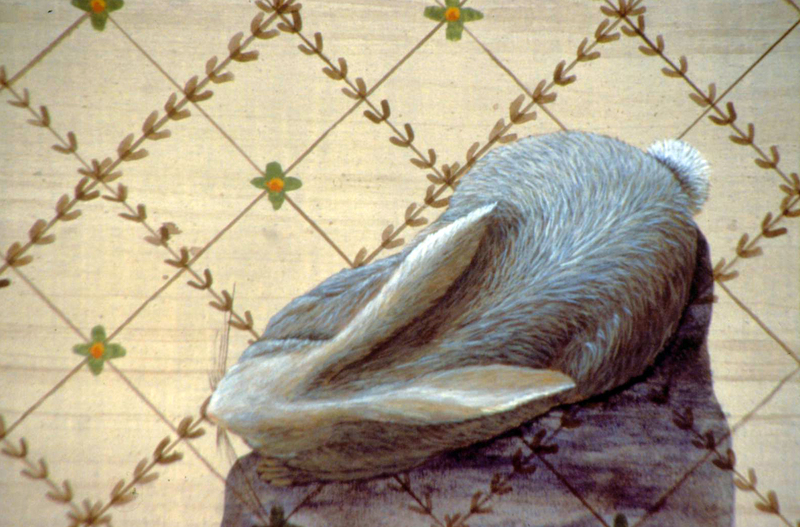 Silvia's works are in scores of collections in the United States including the North Carolina Museum of Art and the Gregg Museum of Art in Raleigh, the Mint Museum in Charlotte, Wake Forest University in Winston-Salem, Williams College Museum in Massachusetts, The Crocker Bank and Bank of America in San Francisco, The Equitable in New York City among others. Her tapestries are in numerous public collections in Europe where she enjoyed an extensive and successful exhibition career. Silvia was an exhibiting member of Piedmont Craftsmen from 1980 till 1993. Piedmont Craftsmen, Inc. announces the election of eight new and four returning members to the Board of Trustees at the Annual Meeting on November 23rd, 2014. The Board of Trustees is elected by the supporting and exhibiting members at the Annual Meeting during the Piedmont Craftsmen’s Fair. The Board elected 2015 Officers at the December 9th, 2014 meeting. Terms for Officers and Trustees begin on January 1st, 2015. The Officers elected to serve for 2015 are: Mrs. Karen Morgan, Chair; Mrs. Jennifer McCormick, 1st Vice Chair; Mr. Andrew Sachs, 2nd Vice Chair; Mrs. Amanda Blackman Phillips, Secretary; Mr. Gregory Bradsher, Treasurer; Mr. Andre Crawley, Assistant Treasurer and Mrs. Anne Howard Shelburne will serve as Immediate Past Chair. New Trustees elected to serve are: Ms. Marvette Aldrich, supporting member, Lewisville, NC; Mr. David Bennett, exhibiting member, Winston-Salem, NC; Dr. Kathryn M. Greven, supporting member, Winston-Salem, NC; Mr. Andrew Hayden, exhibiting member, Raleigh, NC; Ms. Tomi Melson, exhibiting member, Winston-Salem, NC; Mr. David Piner, supporting member, Winston-Salem, NC; Ms. Lisa Stewart, exhibiting member, Raleigh, NC; and Ms. Cindy Cox Wilson, supporting member, Advance, NC. Trustees elected for a second term are: Ms. Kathy Cooper, exhibiting member, Winston-Salem, NC; Mrs. Pam Pryor Grace, supporting member, Winston-Salem, NC; Mrs. Karen Morgan, supporting member, Winston-Salem, NC; and Mr. Andrew Sachs, supporting member, Winston-Salem, NC. They will join Trustees who are continuing to serve on the Board: Mrs. Carolyn Bailey, Mrs. Melanie Barbee, Mr. Gregory Bradsher, Ms. Lucinda Brogden, Mrs. B. J. Buckland, Mr. Jim Carpenter, Mr. Andre Crawley, Mr. Barry Eisenberg, Mrs. Janet Frazier, Mrs. Susan Freidman, Mrs. Kathy Goliszek, Mrs. Jennifer McCormick, Ms. Martina Moore, Mrs. Catherine Heitz New, Mrs. Amanda Blackman Phillips, Mrs. Pamela Saunders, Mrs. Anne Howard Shelburne, Mrs. Julia Clinard Townsend and Ms. Annie Van Every. 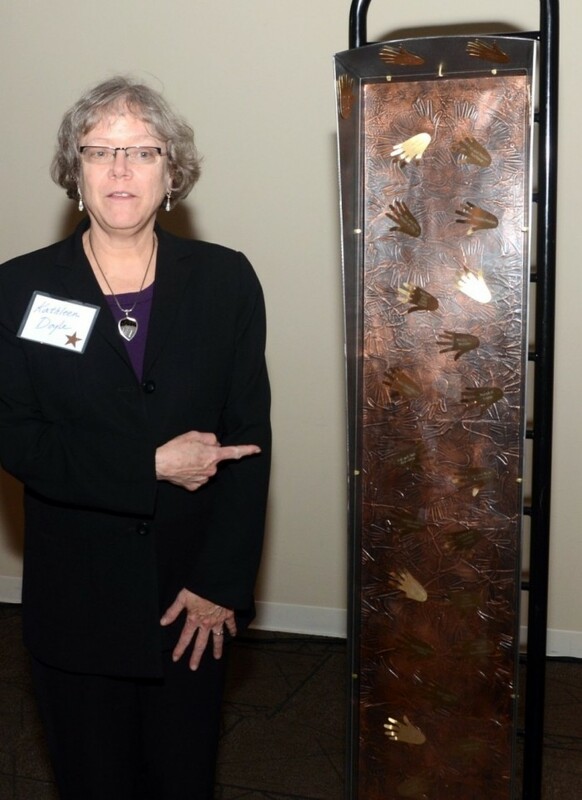 Piedmont Craftsmen unveiled a commemorative 50th Anniversary art piece at their Gala on March 29, 2014. 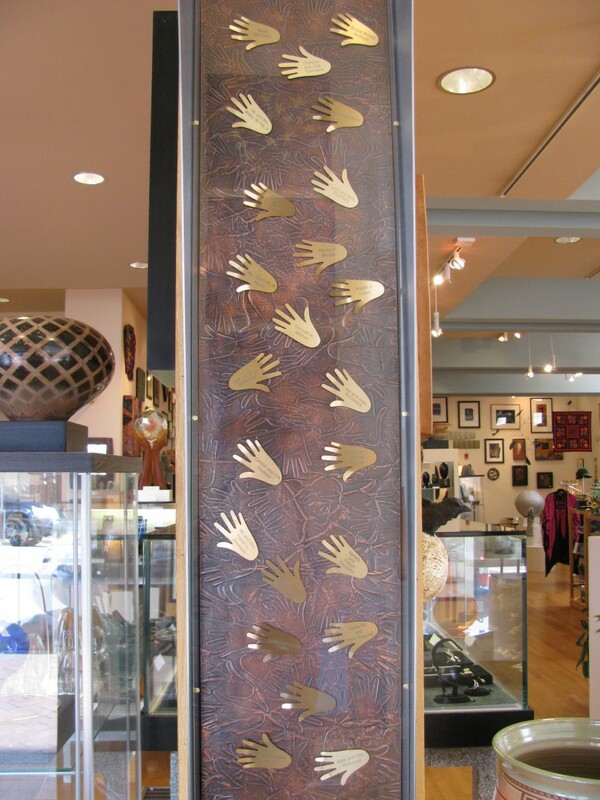 The metal artwork was created by Kathleen Doyle and Tom Reardon, exhibiting members since 1979 from Asheville, NC. Members of the 50th Anniversary Society are honored with their donation with an engraved brass Piedmont Craftsmen hand on the artwork. The background of the piece is embossed with the same hand logo. The four foot piece is on permanent display in our Gallery. Piedmont Craftsmen Welcomes 19 New Exhibiting Members! At this year's Craft Fair, the standards committee invited the following 19 artists to become exhibiting members. The artwork of the 2014 new members will be featured in the Piedmont Craftsmen Gallery during the "New Members Show" in March of 2014. NewBridge Bank People’s Choice Award – presented to the artist voted the favorite by visitors to Piedmont Craftsmen’s Fair. Piedmont Craftsmen, Inc. announces the election of four new and five returning members to the Board of Trustees at the Annual Meeting on November 18th, 2012, and the election of 2013 Officers. The Board of Trustees is elected by the supporting and exhibiting members at the Annual Meeting during the Piedmont Craftsmen’s Fair. Terms for Officers and Trustees begin on January 1st, 2013. The Officers elected to serve for 2013 are: Anne Howard Shelburne, Chair; Andrew Sachs, 1st Vice Chair; Annie Van Every, 2nd Vice Chair; Pamela Saunders, Secretary; Karen Morgan, Treasurer; Larry Bohannon, Assistant Treasure and Pam Pryor Grace will serve as Immediate Past Chair. New Trustees elected to serve are: Gregory Bradsher, supporting member, Lexington, NC; B. J. Buckland, supporting member, Winston-Salem, NC; Kathy Goliszek, supporting member, Lexington, NC; and Amanda Blackman Phillips, supporting member, Pfafftown, NC. Trustees elected for a second term are: Winston-Salem, NC; Carolyn L. Bailey, supporting member, Winston-Salem, NC; Jim Carpenter, exhibiting member, Pfafftown, NC; Jane Goco, exhibiting member, Lewisville, NC; Martina Moore, exhibiting member, Danbury, NC; and Catherine (Cat) Heitz New, supporting member, Winston-Salem, NC. They will join Trustees who are continuing to serve on the Board: Marvette Aldrich, Kitty Amos, Larry Bohannon, Kathy Cooper, Paige Cox, Andre Crawley, Barry Eisenberg, Barbara Eure, Susan Freidman, Hansford Johnson, Zina Johnson, Pamela Pryor Grace, Karen Morgan, Andrew Sachs, Pamela Saunders, Anne Howard Shelburne, Pam Short, Julia Clinard Townsend and Annie Van Every. This year's auction was a success! We raised over $25,000 that will benefit our exhibition and education programs. We would like to give a big thanks to our artists, collectors, and local businesses for their support! *Indicates Collectors who are donating work by other artists. 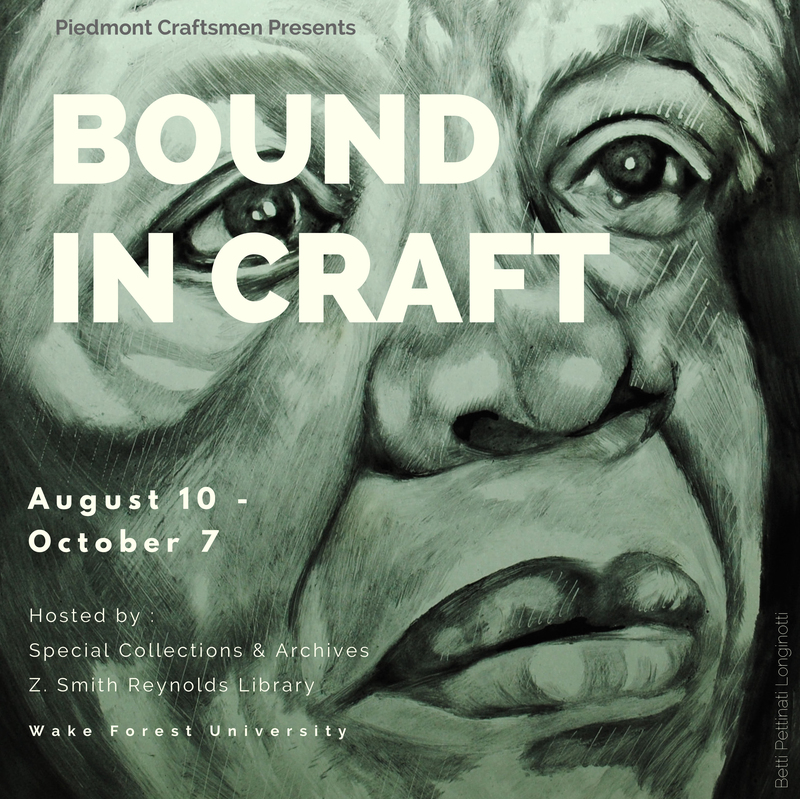 (Winston-Salem, NC) The Board of Directors and Staff on behalf of our Supporting and Exhibiting Members are pleased to announce that Piedmont Craftsmen, Inc. has been awarded a grant from The Winston-Salem Foundation. This grant for $25,000 will support Piedmont Craftsmen's 50th Anniversary History Project. The funds for the grant were provided by the Charles Babcock, Jr. Field of Interest Fund, the Eisenberg Family Fund for Arts and Culture and the Vicki Van Liere Helms Art Fund. Piedmont Craftsmen, Inc. grew out of a series of kitchen table conversations held by a small group of makers of fine craft and lovers of quality examples of our material culture. The guild has been nurtured and strengthened over its 48+ year history by the ongoing dialogue between makers and collectors, and among fellow craftsmen as well as fellow craft lovers. November 2013 will mark our 50th Anniversary. In keeping with our missionas an education and arts organization that is dedicated to the promotion of fine traditional and contemporary craft/arts through a wide variety of educational and membership activities and services for the benefit of the community, the 50thAnniversary History Project will dovetail with all aspects of Piedmont Craftsmen's programming. The focus will be on creating multi-media content that can be used in numerous settings and presented to a variety of audiences. We envision producing a series of articles, photographic storyboards, and multi-media, web ready "modules" that explore our 50 year history, our crafts artists, founding and supporting members, as well as a look at the contemporary craft scene. The Winston-Salem Foundation is a community foundation that supports charitable programs in the greater Forsyth County area. Founded in 1919 by Colonel Francis Fries with a $1,000 gift, it now administers over 1,300 funds and had total custodial assets of over $276 million at the end of 2011. In 2011, the Foundation granted more than $20.8 million to charitable causes, over $2.1 million of which was in Community Grants. The ceramicist didn’t mean that as a personal manifesto: It’s a slight alteration of the words Moses heard God speak from the burning bush. Yet “Sophisticated Surfaces: The Pottery of Herb Cohen” proves Cohen was destined to produce the complex and deceptively simple art in this seven-decade retrospective at the Mint Museum of Art. And in a larger sense, Cohen has been destined to spend the last 56 of those years with fellow artist José Augustín Fumero, while their personal and professional lives intertwined like colorful fibers in a Fumero painting. 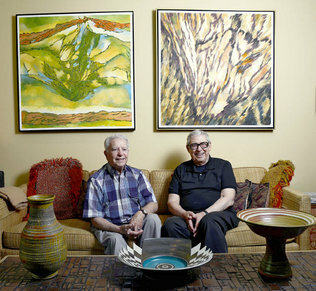 And together, in their 80s, they have launched careers inspired by obstacles. 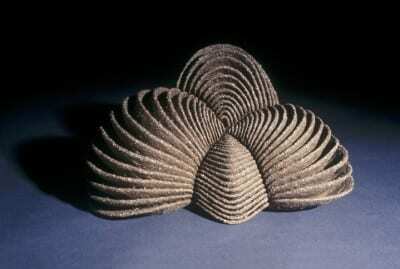 A hand tremor prevents Cohen from controlling clay on a wheel, so he builds up pieces by hand. (You’ll see a few in the Mint show, through Jan. 8.) The design-oriented Fumero, whose vision has deteriorated throughout his life, aims to create a simple, multiple-use computer keyboard for people who have similar conditions. “I’ve often told them they’re my uncles of choice,” says June Watts-Mistry, who (with husband Adi Mistry) has bought pieces by both. “I didn’t have any real uncles I liked that much. I have never heard Herb and José say a negative thing about another person, and that makes them a joy to be around. Of course, without one loud “No!” to conformity, Cohen and Fumero would not be where they are today. Here's a youtube video of Exhibiting Member in Metals, Ben Dyer, demonstrating how he gets those little tiny ear wires on his forged gold earrings. We've been wondering. Congratulations to Bill Harris, who was elected Chief of the Catawba Indian Nation. Bill is an in Exhibiting Member in clay. 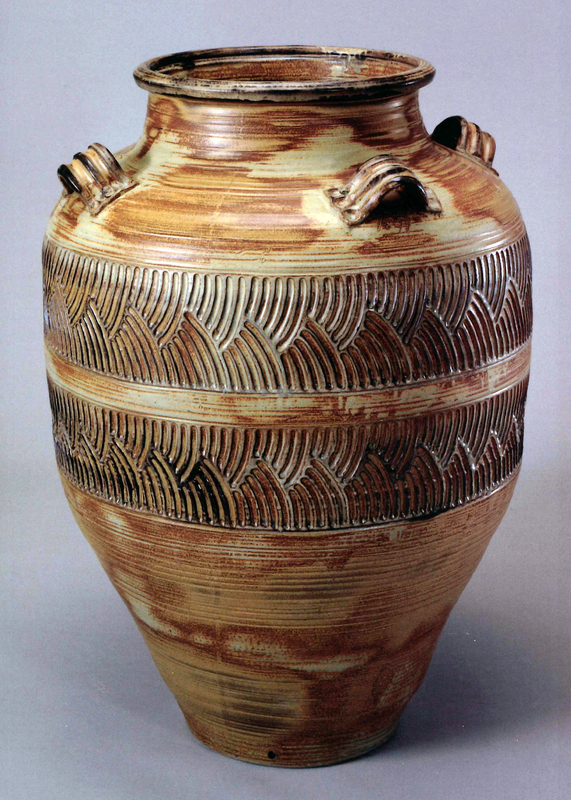 His artwork is based on traditional Catawba pottery techniques. His wife, Jayne Harris is also an Exhibiting Member in clay. For more information on Bill's election - click here. Vote for the Piedmont Craftsmen’s Fair! Visit American Style Magazine online to vote for Piedmont Craftsmen as a "Top Ten" fair! And then spread the word! AmericanStyle.com just named the top art fairs in the USA, and Piedmont Craftsmen's Fair made the list! So did Southern HIghlands. Way to go, North Carolina! Check out the full list here. Ronan Peterson returns to MudFire Gallery with a splash, enlivening the space with unique forms and intense surfaces. His comic book interpretation of nature is familiar but fantastic in an otherworldly way, meandering in a space somewhere between the films Avatar and Jungle Book. The exhibit begins with an opening reception on July 23, 2011 from 5:00 - 9:00 pm. Also opening that night is a Kathy King solo exhibit. Work will post in preview mode by July 17, and will be available for purchase starting 10:00 am on Saturday, July 23, 2011.
website, events, and the unique hand crafted items found in our online shop. Kudos to our web designers Nathan Tayloe at TayloeGray and Chris Hayden at Cgraydesign. Here is the link to Miva's blog: Store Spotlight: Piedmont Craftsmen. Jewlery/Metal artist, Nancy Fleming announced the launch of her new website - www.fleming-design.com. 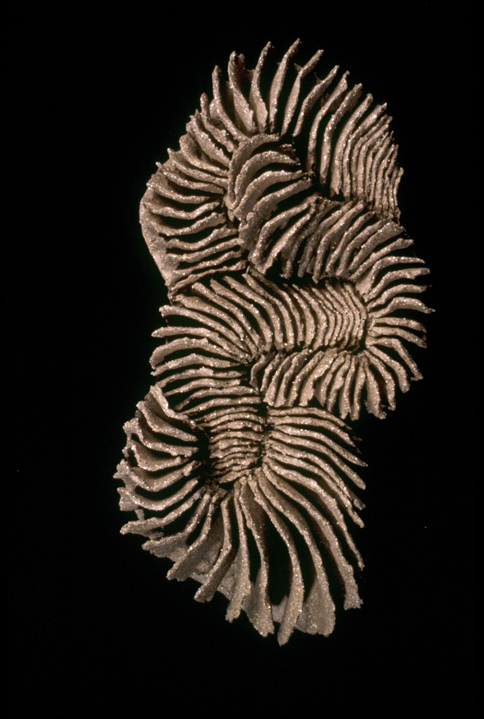 Nancy says about her work "Merging nature with metal...forming a new language. My work represents the influence of emotion and spirit upon our lives. Passion, whether heartache, pain, joy, elation, or love is my source of inspiration. Metal is the language I use to tell my story." Exhibiting Member, Kathy Cooper, has introduced a new product to her painted Floorcloth line. www.KathyCooperYogaMats.com is her new website featuring her customed designed yoga mats. We are in the middle of a website overhaul. New and improved features are going to make our lives so much easier. Piedmont Craftsmen employees Wendy Barber and Nicole Uzzell, along with other area artists, will have work in the 3rd annual Small Art, Big Heart. The opening reception is Friday February 12, 2010 at 5:00 at Hampton House Art & Framing, 2213 Cloverdale Avenue, Winston-Salem, NC. Proceeds from sales will benefit Aids Care Service. 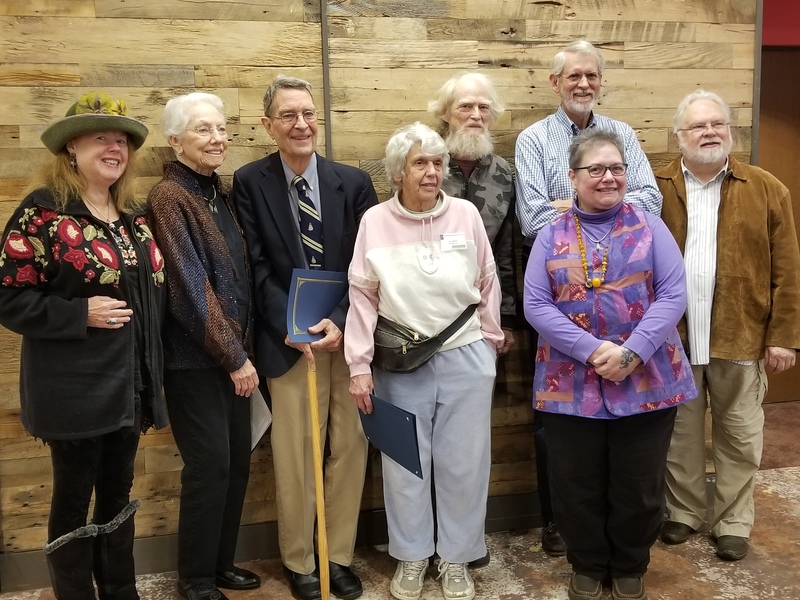 At Piedmont Craftsmen's Annual Meeting on Sunday, November 20th, the membership elected the 2010 officers, nine new and five returning members to the Board of Trustees. Piedmont Craftsmen's Fair was held November 20th - 22nd at the Benton Convention Center, Winston-Salem, NC. During the 3-day event, Awards of Excellence were presented to exhibiting members: Vicki Essig, fibers; Dempsy Calhoun, metal; and John Geci, glass. Piedmont Craftsmen is please to announce the presentation of a new volunteer award at its annual meeting on November 22nd. The Piedmont Craftsmen Sherpa Award is named in honor to the native Himalayan guides who command extraordinary respect for their skills in navigating treacherous terrain with incredibly heavy loads while taking their fellow explorers on adventures that involve scaling some of the world's highest mountain peaks. Piedmont Craftsmen's Board of Directors invites you to our Open House and Membership Drive. Friday, October 16th, 6pm until 8pm or Sunday, October 18th, 2pm until 4pm. Bring your friends, neighbors and family to Piedmont Craftsmen's Fall Open House and expose them to the world of fine craft and the amazing benefits of supporting membership. 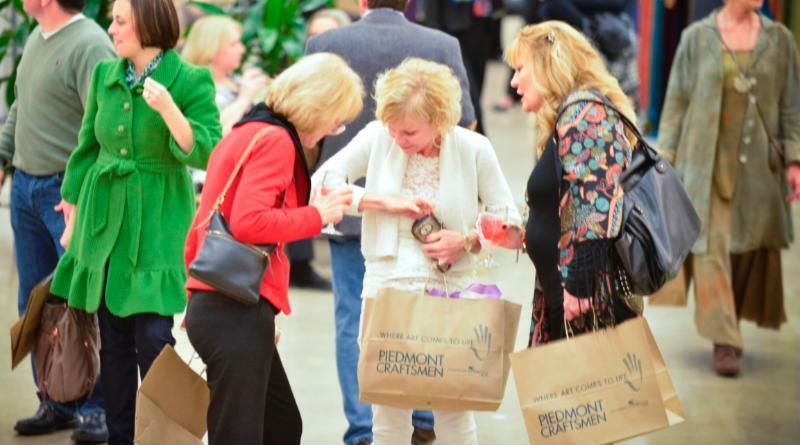 Memberships begin at $50, which includes two Preview Night tickets to the famous Piedmont Craftsmen's Fair and gallery discounts. From November 17 to 22, 2009, Winston-Salem celebrates it heritage as North Carolina's center of arts and crafts. Experience great performances in music, dance and theatre; living history at Old Salem and in architectural tours; fabulous feasts at interesting eateries, all anchored by a visit to the dazzling Piedmont Craftsmen's Fair. Piedmont Craftsmen's Fair is Saturday, November 21st, 10 am until 6 pm and Sunday, November 22, noon until 5 pm. There is something for everyone! To learn more about 6 Days in November visit: www.TheCityoftheArts.com. 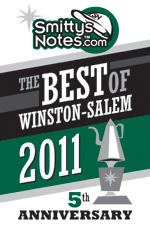 Piedmont Craftsmen was named best "Art Gallery/Shop/Boutique" in the Smitty's Notes Best of Winston-Salem Awards. This is the second year we have received this honor. Thanks to everyone who voted for us. Congratulations to the Urban Artwear for being the runner up and honorable mention went to 5ive & 40rty. To see a complete list of the winners - smittysnotes.com. ELEMENTary - the Basics: Air, Earth, Fire, Water is the current exhibition on display at the Cabarrus Arts Council Galleries in Concord, NC, and continues through August 13. 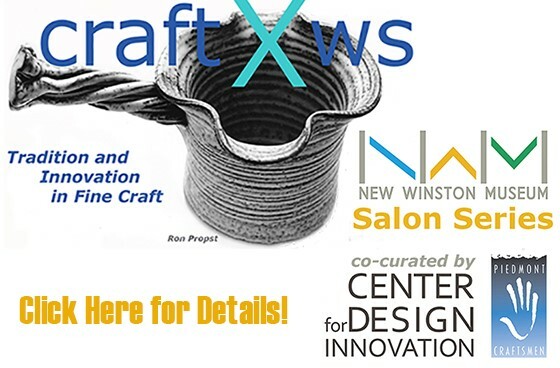 The group invitational features works by four Piedmont Craftsmen exhibiting members: Chery Cratty, Andrew Goliszek, Susannah Ravenswing, and Ken Thomas. Other artists included in the show are: Syed Ahmad, Alice Ballard, Elizabeth Bradford, Clara Couch, Patrick Dougherty, Patrick Glover, Carmella Jarvi, Paul Keysar, Laird Lanier, Gretchen Lothrup, and Anatoly Tsiris. An artists' reception is scheduled for Friday, June 26 (6 - 9 pm) in conjunction with the downtown Art Walk. Susanna Ravenswing presents an Art Talk on Thursday, August 13, at 7 pm. Congratulations to Roxane Lessa, fiber artist, who will have work in the 28th Annual Fabric of Legacies - Art Quilt Exhibition at the Lincoln Center Galleries in Fort Collins, Colorado. This exhibition is open from July 6 through August 28. Paper need not end up in the recycling bin to be recycled. It can find new life as a greeting card, a wedding invitation, a bookmark or a framed piece of adorned art. All that's needed is a shredder, a blender, lots of water, a couple of frames (one with a screen), a piece of cardboard and a sponge-paper towel. Joel Hunnicutt is the featured artist for May at the Sara Smith Self Gallery, Moring Arts Center, 123 Sunset Avenue, Asheboro, NC 27203. For further information and gallery hours please call 336-629-0399 or visit www.randolphartsguild.com. 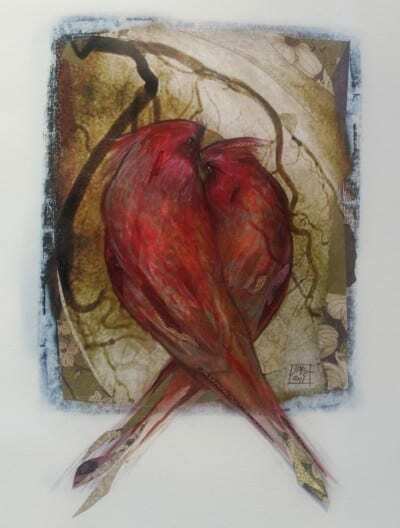 This May North Carolina figurative mixed media artist Nancy Kubale will be featured at the Bennett Galleries, 5308 Kingston Pike, Knoxville, TN 37919. For further information and gallery hours please call 865-584-6791 or visit www.BennettGalleries.com. The Arts Council of Winston-Salem and Forsyth County is seeking professional artists or teams of artists nationwide to submit qualifications for two public art projects. Congratulations to Piedmont Craftsmen's Gallery Manager, Kathy Titus. She was chosen by the faculty of Salem College to receive the 2009 Fleer Center Spirit Award. Kathy is a part-time student at Salem College majoring in Arts Administration. She has been with our Gallery since 2006. Sandra Salamony and Gina M. Brown are co-authors of an upcoming book, 1000 Artisan Textiles, to be published in May 2010 by Rockport Publishers/Quarry Books. I would like to invite all textile artist members to submit their favorite project(s) for consideration. 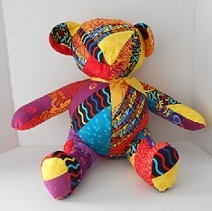 Please take a look at our website, http://1000artisantextiles.com for more details. You will note that while the deadline for submission is June 1, 2009, the selection process will begin earlier, and therefore, we encourage early submissions. Piedmont Craftsmen is pleased to announce the winners of our Lofty Ideas Tour Raffle. Generation to Generation: Folk Art Collectibles and fine Crafted Heirlooms” is the current exhibition at the Cabarrus Arts Council Galleries in Concord, NC. The show runs through June 4, 2009. An Art Walk will take place on Friday, April 17 and serves as the opening for the show. Green Hill Center for NC Art welcomes 9 artists including Piedmont Craftsmen members Lin Barnhardt, Chris Horney, John Nygren and Tom Suomalainen to a special exhibition, Plane & Pedestal. Running from April 3 through June 7, 2009 there will be an opening reception Friday April 3 from 5:30 to 8:00 at the Green Hill Center, 200 N. Davie Street, Greensboro. The Arts & Culture Alliance of Greater Knoxville and the Metropolitan Knoxville Airport Authority (McGhee Tyson Airport) announce a call for entries for "Arts in the Airport", a juried exhibition developed to allow regional artists to compete and display work in the most visited site in the area. The selected art features contemporary two-dimensional artwork and will be exhibited in the secured area behind McGhee Tyson Airport's security gate checkpoint from April 30 - October 29, 2009. The deadline for entries to be received is Wednesday, April 22, 2009. Libby and Jim Mijanovich are very busy this spring with exhibitions at Good Fibrations, the Asheville Area Arts Council and Guilded Tulip Gallery. For more information and interesting facts about the Mijanovich's work please visit their website at www.mijafiberart.com. Join Piedmont Craftsmen artists Amy Goldstein-Rice, Christine Colombarini, David Voorhees and Robert Levin at a very special exhibit during the Lenten season. The exhibit, at the First Congregational United Church of Christ Art Gallery 20 Oak Street Asheville NC, features artist designed, hand-crafted item to memorialize and celebrate the lives of loved ones and cherished pets. Shine on Brightly will be on display through April 10. Roxanne Lessa, fiber artist and teacher, is very busy this spring. She is exhibiting with the Professional Art Quilters Alliance-South at two locations this year. ARTQUILTStransitions will be at the Allenton and Semans Galleries of the Durham Arts Council from April 17 through June 7. And, exhibiting at the Page-Walker Arts and History Center in Cary June 25 through August 22. Metal Artist, Sandra McEwen of Apex, NC, has been named a winner in the 2009 NICHE Awards for the piece entitled "Tiger Moth Necklace" in the Metal: Enameled category. Winners of the 2009 NICHE Awards were announced at a ceremony held during the Philadelphia Buyers Market of American Craft on Sunday, February 15, 2009. Sandra became a Piedmont Craftsmen exhibiting member in 2008. 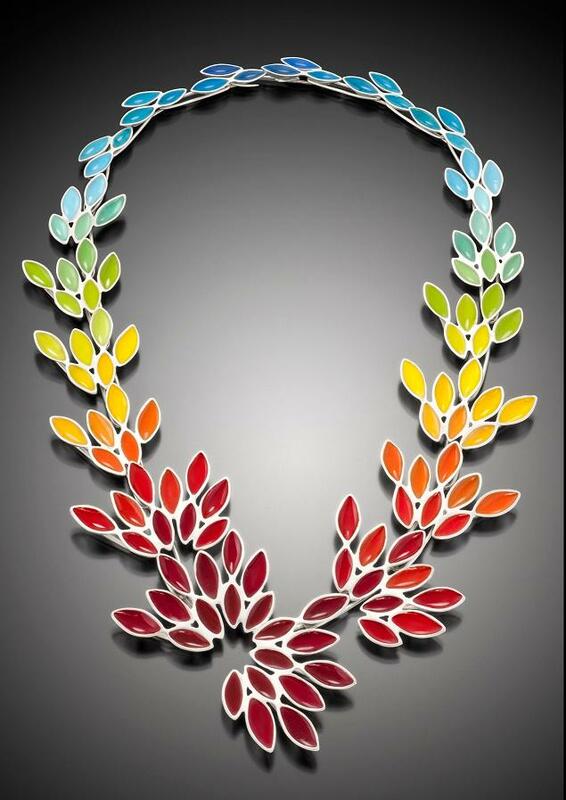 Her enameled jewelry will be shown in Gallery during March's New Member Exhibit. Piedmont Craftsmen was honored with a Downtown Excellence Award at the annual meeting of the Downtown Winston-Salem Partnership. Present by Mayor Allen Joines, the award was for creating economic impact through our anchor location in the downtown Arts District and production of the annual Piedmont Craftsmen's Fair. Jane Doub, President and CEO, accepted the award on behalf of the Board of Trustees, staff and membership. 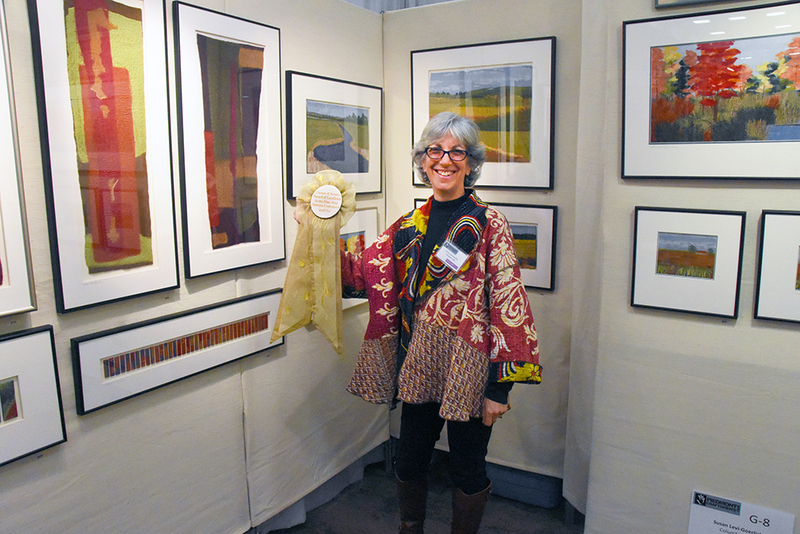 Congratulations go to Wendy Barber for winning the Best in Mixed Media category at the Small Art, Big Heart exhibit. Wendy has been a member of Piedmont Craftsmen's gallery staff for over 2 years. She created two dolls from fabric and polymer clay for this exhibit. Hampton House Gallery and AIDS Care Service of Winston-Salem were the sponsors of the show that features artwork no larger than 12 inches. Small Art, Big Heart is on display through the month of February. Carolyn Glazener and Jane Doub recently completed a custom wall piece for Premier Commercial Bank in Greensboro, NC. The piece was commission by Linda Higgins of One Design Center, also in Greensboro. The wall piece is woven of two types of materials. The vertical bands are handwoven of cotton and rayon and horizontal strips are hand painted canvas. Veronica and David Bennett have been commissioned to create eight windows for the new Mellow Mushroom in Greensboro, NC. Four of the windows have been installed. Postscript: All eight windows were installed by February 1, 2009. Congratulations to Piedmont Craftsmen's 2008 No Show Ball winners. They are Redge and Jane Hanes and Lloyd and Ranny Story. Each couple will receive a five hundred dollar ($500) shopping spree at our gallery and shop. Bobby Wells, exhibiting member in mixed media, passed away Saturday, January 3rd. Piedmont Craftsmen members will remember her as a warm, kind & generous person, and a wonderful craftsperson whose work was imbued with her own spirituality. At Piedmont Craftsmen's Annual Meeting, which was held on Sunday, November 16th, the membership elected the 2009 officers, eight new and four returning members to the Board of Trustees. The Piedmont Craftsmen's Fair was held November 15th - 16th at the Benton Convention Center in Winston-Salem, NC. 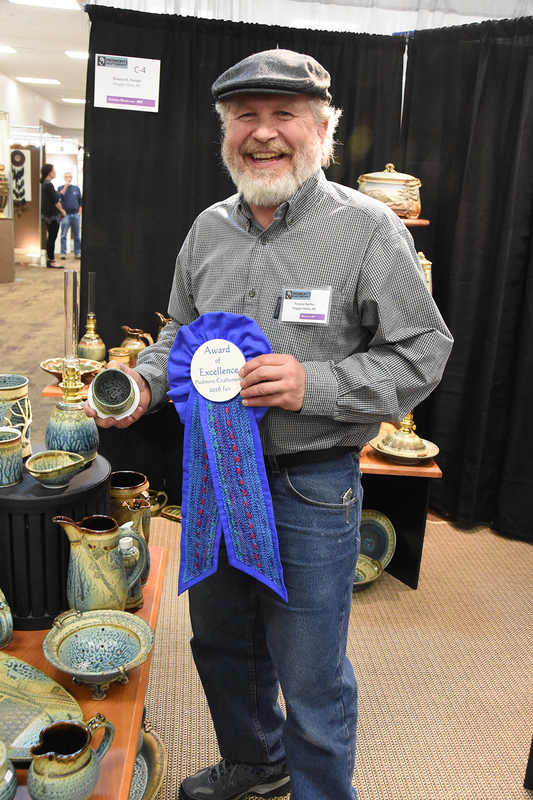 During the 3 days of the event, Awards of Excellence were presented to exhibiting members: Candone Wharton, ceramics; Barbara and Rick Umble, jewelry and Lesley Keeble, mixed media. 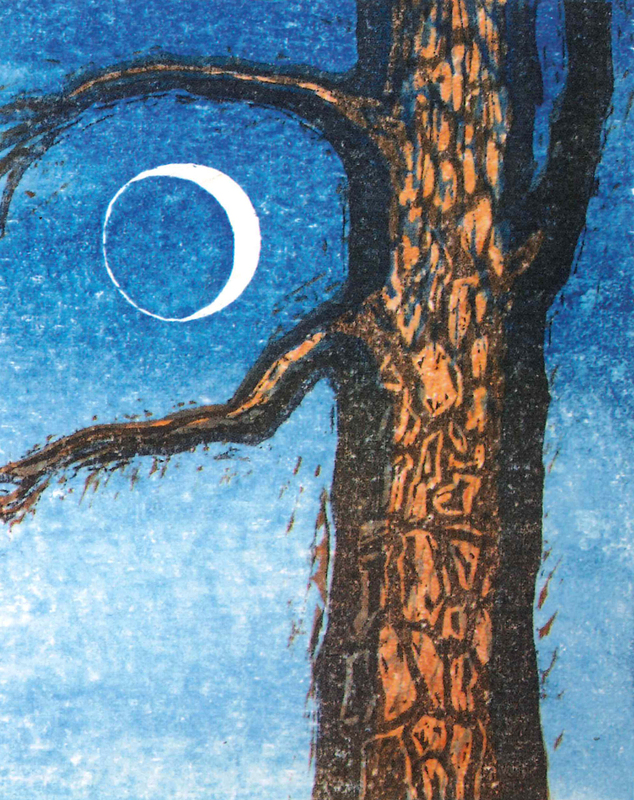 Those of you who were at the Fair might have noticed the absence of Lucius DuBose, Exhibiting Member in Printmaking. He had a valid reason for not being there, namely, heart bypass surgery. He is home and doing well, and very grateful (1) that he was diagnosed before they left home to come to Winston-Salem, (2) that he received such excellent care at Vanderbilt in his home town of Nashville, TN, and (3) for all the good thoughts, prayers, and cards that have come his way. Here is a note from Lenda's latest email to us: "I was aware all last weekend of folks at the fair thinking of us, which brought great comfort. One of the pleasant surprises of having this happen when we were scheduled to be at the fair is we have gotten several cards from people who must be customers, whose names we sometimes recognize, but without a face, we have no idea who they are. Each one puts a smile on our faces. People are so kind to take the time to contact us, and we are so grateful for all the healing thoughts, prayers, and good wishes." If anyone would like to send Lucius a card, please contact Deb and she'll give you his mailing address. The studio of George Handy, an Exhibiting Member in Clay and Mixed Media, was destroyed when a van crashed through it one evening in late October. Here's how a newspaper article described the incident. If you'd like to do anything to help him rebuild, let us know and we'll put you in touch with him. Piedmont Craftsmen's exhibitng member, Yvonne Fox Dobyns ARRITT died on August 26, 2008. Wife of Nolan Arritt; mother of Cindy Dobyns and Barbara Dobyns; grandmother of Megan and Rhys Howard. Also survived by step-children, Susan Arritt, Debbie Arritt, Jenny Groh, and Dan Arritt. Yvonne grew up in Schenectady, NY, the daughter of a math professor at Union College and a painter. She attended Indiana University, where she studied French and metalsmithing and graduated with honors. She taught French and art and came to the area in 1958. She was active in the community, establishing a Montessori school, teaching, and watching countless swim meets for her children and grandchildren. She was an accomplished metalsmith who was an original member and past-president of the Washington Guild of Goldsmiths, and she was active in the Society of North American Goldsmiths and the American Craft Council. A year after a collector pulled out of a deal to exclusively display his eclectic teapot collection, organizers of the teapot museum in Sparta are changing the name to include crafts and are reaching out with demonstrations and lectures in the hopes of distinguishing it from other museums.